We are always on the lookout for great stories and we stumbled on the one below from a NACHC member, East Boston Neighborhood Health Center (EBNHC) just in time to mark Older Americans Month. EBNHC operates a program called Neighborhood PACE, 1 of 121 PACE programs across the nation and the first in the Bay State. 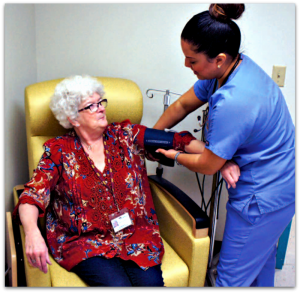 It serves residents age 55 and over who meet the program’s clinical and financial eligibility criteria and live in East Boston, Chelsea, Revere, Everett, Winthrop, Malden, Medford, Melrose, Stoneham, or Boston’s North End. 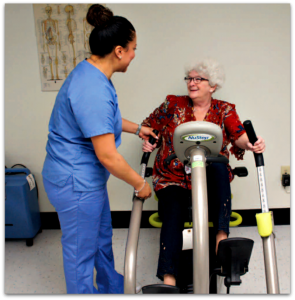 The PACE Program helps older adults age in place by enabling them to stay healthy, active, and independent. Since this year’s theme for Older Americans Month is Engage at Every Age, we wanted to showcase how a health center makes that possible for seniors in the community. To learn more about PACE, read Successful Practices in Accountable Care: Piedmont Health Services, Inc.’s PACE Program in our Best Practices Series. Three years later, Valerie’s mother, Barbara, remarried a man named Al. They would remain married for 51 years until he passed away. They stayed in the Waltham/Watertown area until the children were grown, eventually moving out to Marlborough and then Littleton. Meanwhile, when Valerie was 21, she became engaged to a man named Ronnie. Although things didn’t work out, they had a son, Billy. After they separated, Valerie met Ray, a divorcé with four children. “After we got married, we had three more children,” says Valerie. After Rick, Sherrie, and Christine were born, life was good for the large blended family. But then tragedy struck. In 1985, Valerie’s oldest son-14-year-old Billy-died in a tragic gun accident while babysitting. Just a year later, Valerie’s beloved husband fell ill and passed away. Valerie found herself walking in her mother’s footsteps, coping with grief while working and raising children alone. But life went on. “I was living on the North Shore. Eventually my kids grew up and moved out,” says Valerie. Today, her children are all in their late 30s and early 40s. The oldest, Rick, is 43. He’s married and has an eight-year-old daughter, Danica. Sherrie has two sons, Jacob and Avery. Christine, the youngest, works for JetBlue as a ticketer. Because of Christine’s position, Valerie has been able to travel a lot. “I’ve been to Costa Rica, the Virgin Islands, Puerto Rico, California, Washington, Alaska, Texas, Arizona, and New Mexico. Santa Monica was my favorite in California. Costa Rica was lovely,” she says fondly. In 2014, Valerie’s stepfather Al passed away, leaving her mother Barbara all alone in Littleton. 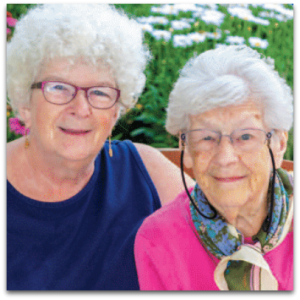 “I didn’t want my mother living by herself, so she moved in with me, but that was tough.” Barbara needed a lot of help, which Valerie wasn’t always there to provide. “Once she almost called the police on me when I was gone for a few hours!” says Valerie with a laugh. It’s heartwarming to see Valerie and Barbara sharing benefits together. That’s what Neighborhood PACE is for — keeping families happier, healthier, and more independent.